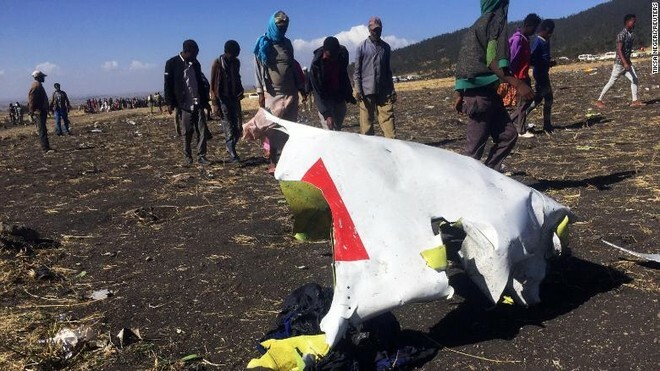 Less than a month after the terrible accident of Ethiopian Airlines flight 302 that claimed the lives of 157 people, investigators working on the case concentrated their attention on the software of the 737 MAX fleet, of which Boeing had recently announced ‘update. According to some sources, the anti-stall software (designed to automatically lower the front of the aircraft in case the data indicate a risk of stalling) would have forced the “nose” of the plane down even after that the pilots had deactivated it. In a few days, in fact, a preliminary report should be published about the disaster in which, according to the sources, there could be evidence that the anti-stall system has reactivated before the 737 MAX 8 crashed to the ground. However, it is not yet clear how many times it has happened: according someone informed of the facts it would have been reactivated four times, while according to a third source there would have been only one significant episode in which the aircraft has decidedly pointed towards land. The question to be dealt with is, above all, if the crew has decided to reactivate the system or if has reactivated automatically. In any case, the software – called Maneuvering Characteristics Augmentation System (MCAS) – is at the center of the investigation for two cases of plane crash: in addition to that of Ethiopian Airlines, there is also that of the Lion Air accident, whose flight 610 crashed into the sea of ​​Java last October killing all 189 passengers on board. Boeing has invited the reporters to caution, commenting: “we invite you to avoid hasty conclusions before the data on the flight and the preliminary report are released”. No statement from Ethiopian investigators. The stakes are high: as is known, the incident led to the block of the Boeing 737 MAX 8 in many countries, including US, the United Kingdom, France and Germany, and the revision of the certification process. This model of aircraft is the most sold among the Boeing, with almost 5,000 orders under assets; company shares lost more than 8.5% following the accident. This entry was posted in News and tagged 302, 737, 8, Airlines, Boeing, crash, Ethiopian, Max. Bookmark the permalink.